Maybe it’s a family vacation. Maybe it’s a wedding. Maybe it’s your kid’s first move-in weekend at a nearby college. Whatever it is that brought you here, you’ve got 24 hours on the Adirondack Coast – don’t let them go to waste! I Love New York recently included this area, shadowed by the Adirondack Mountains on the edge of Lake Champlain, as the perfect spot in the region to spend a day. At the Visitors Bureau, we’d have to agree – especially since the possibilities for adventure change and grow along with the seasons. Below are some “must-see” stops to make if you happen to be here just as the summer sun is setting. Okay, so literally everybody comes to the Adirondacks thinking they’re going to leave a 46er. Truth is, there are tons of magnificent trails and mountains of all elevations to explore. Sure, if the highest peaks in New York State are your style, go for it (we recommend Lyon Mountain! ), but if you’re looking for a more leisurely encounter with nature, we’ve got that too. Point Au Roche State Park, for example, offers 12 miles of scenic hiking paths, open meadows with wildlife, paved bike paths and more. Bring your boat and drop the anchor for a day -- free of charge. 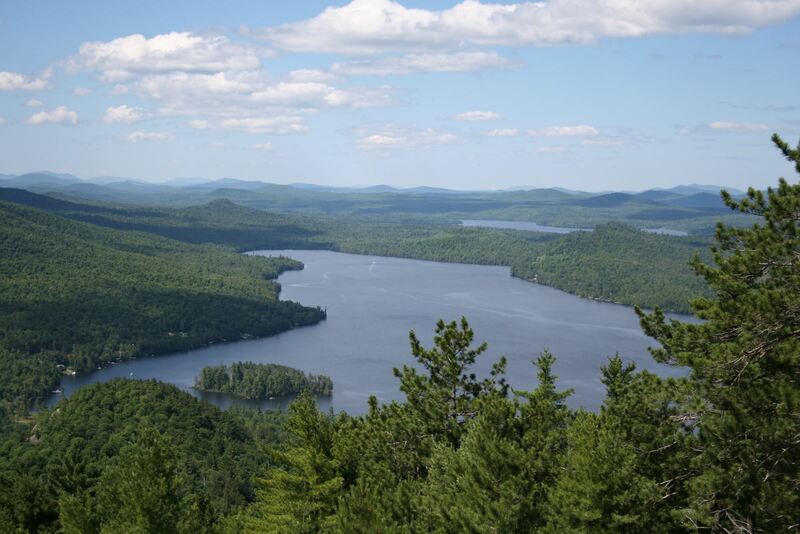 And if it’s spectacular views you’re after, there are tons of rock ledges at Silver Lake Mountain’s summit ridge overlooking the lake, Union Falls Pond, Taylor Pond, Catamount and Whiteface Mountain. Embrace your inner water lover. Watersports are a huge deal on the Adirondack Coast. When winds pick up at this time of the season, windsurfers hit the beaches to catch some waves. Is the idea of turning flips and tricks a little to adventurous? Give paddling a try when you grab a kayak or paddleboard rental at the Plattsburgh City Beach or swing by Kayak Shack’s Baggs’ Landing Paddlesports Centre, open daily from 10 a.m. to 5 p.m. until Labor Day, to glide across the Ausable River. From Baggs’, you can paddle downstream to the mouth of the Ausable River, where you can the explore the marshes, or you can venture all the way to “primitive” Valcour Island, home to a bunch of rare plant species and the largest Great Blue Heron rookery on Lake Champlain. It’s also where you’ll find Bluff Point Lighthouse, overlooking the site where a desperate battle in the war for independence was once fought. Built in 1874, it’s the only lighthouse on Lake Champlain listed on the National Historic Registry. Catch a tour before the end of August on Sundays between 1 p.m. and 3 p.m. Since the Revolutionary War, this coastal area has been valued for its strategic location, hosting military soldiers as well as flyboys at different points in time. Both Historic Downtown Plattsburgh and the U.S. Oval District are scattered with museums and attractions boasting connections to our past, particularly the War of 1812. Each September, the city and town come together for the Battle of Plattsburgh Commemoration(September 8-11, this year). 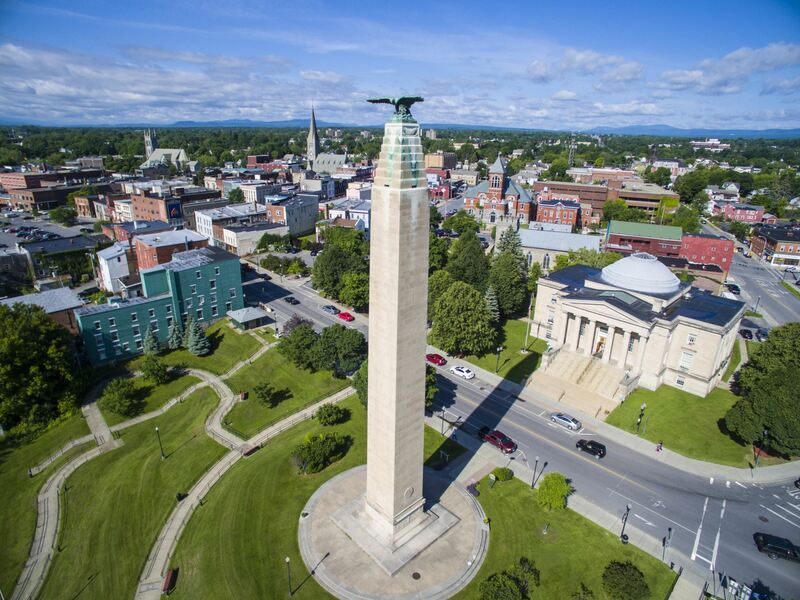 The historic City of Plattsburgh comes alive with reenactments, tours, contests, parades, authentic time-period cuisine, and plenty more to pull you into the action. Nearby sites you’ll want to check out include: Valcour Brewing Company – formerly the Old Stone Barracks on the old Plattsburgh Air Force Base, now restored as a one-of-a-kind inn and brewery – and the Kent-Delord House Museum, a site once occupied by the British, along the Heritage Trail in downtown Plattsburgh. From there, you can enjoy the Riverwalk Park, monuments, art galleries, side street murals, restaurants and shopping along the Saranac River. Agriculture is a way of life on the Adirondack Coast. Events like Downtown Rising, a weekly food, music, and arts festival taking place on Fridays from 4 p.m. to 7 p.m., gather together local farmers, performers, and vendors in Trinity Park. August 26th is the closing event of the season – your last chance to see so much of the area in one place! 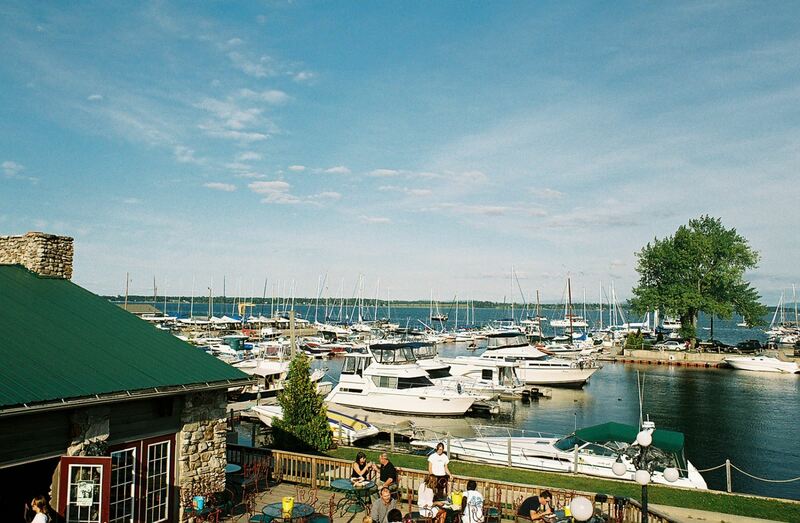 Downtown Plattsburgh is the perfect place to kick-start a weekend of family-friendly fun. After you’ve had your fill of the festival, head to a nearby restaurant, like Irises Café & Wine Bar or The Pepper, for dinner and drinks. Ask for outdoor seating and you’ll still be able to experience the lively atmosphere of the city. For mesmerizing views of the waterfront and live music you can jive to, check out the Naked Turtle (and treat yourself to a MacDonough Monument Mai Tai while you’re at it!). Each stop along the Adirondack Coast Wine Trail creates a unique experience, offering you the chance to explore local agriculture in both rustic and refined environments. The hardy cold-weather grapes grown in this region make for wine unlike that found anywhere else in the world, perfectly balancing acidity, high sugar, and those deep flavors of the Upstate New York climate. The official trail is 33 miles long – but on Saturday August 27th, you’ll have the chance to try samples from all 6 of the wineries in one place. 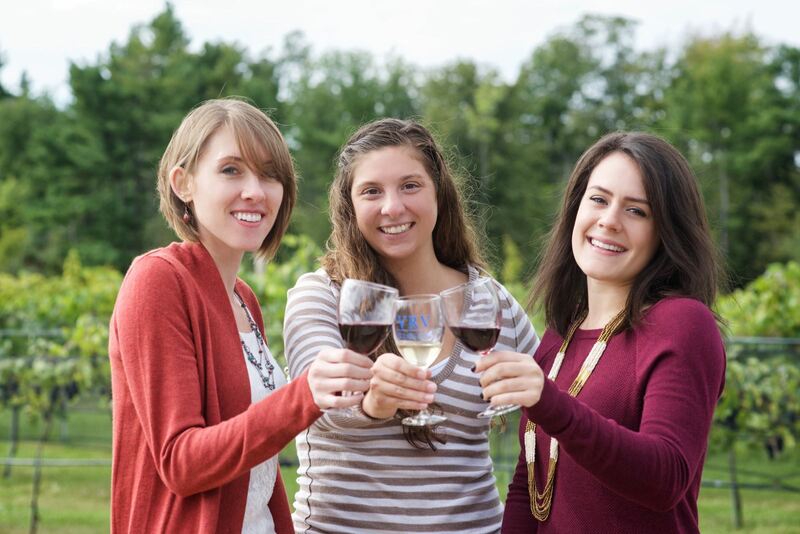 Conroy’s Organics is hosting the first ADK Coast Summer Wine Fest. You can snag your tickets here for $25 a pop. So, now that you’ve got some options, get out there and explore. It’s time for you to “Escape the Everyday” or whatever brought you here that wasn’t purely for relaxation purposes! See for yourself why visitors return to these glittering waters year after year to experience outdoor recreation, history, and agriculture – no matter the season.